For the month of July we decided to share an exceptionally refreshing cocktail that we prepared a few weeks ago at our Summer Meeting. This Billingsley Punch is one of many classic cocktails featured in the book, Death & Co. : Modern Classic Cocktails. This book features hundreds of signature recipes, as well as complete cocktail education. Give this recipe a try at your next event. We're sure your guests will love the balance between the tart citrus and the earthy gin. 1. In a pitcher, stir the sugar cubes with 4 ounces of club soda, until the sugar is broken up. 2. Add the rest of the ingredients (aside from the remaining club soda) and fill the pitcher three-quarters of the way with ice cubes. 3. Stir until cold and then strain into a punch bowl over one large block of ice. 4. Top with the remaining 4 ounces of club soda. 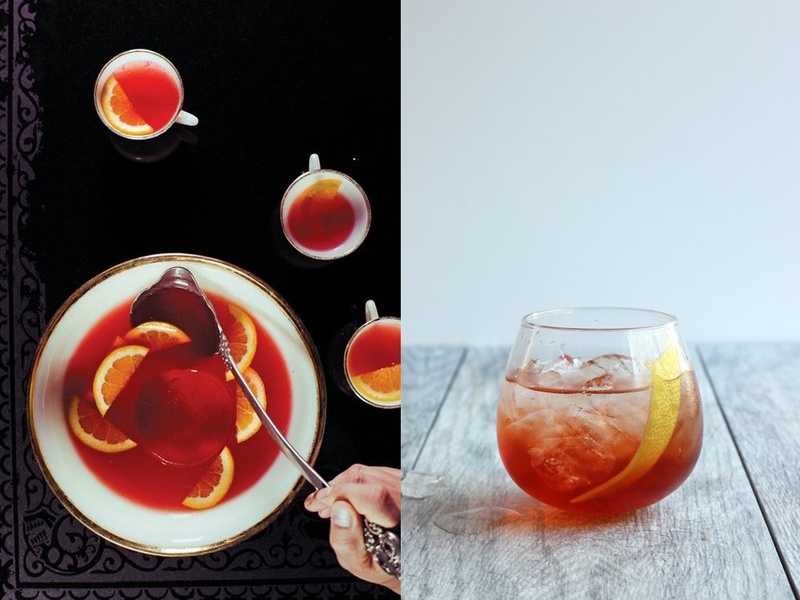 Garnish with grapefruit crescents and serve with a ladle and punch glasses.